Los Hombre De La Medicina"
Artificial products (knock-offs of the real thing) are hitting the European market at faster rates, appearing only months after the bona-fide products are released. 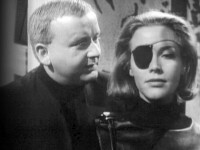 Steed and Cathy investigate one particularly hard-hit drug manufacturer and uncover a plot to kill thousands of people in an obscure oil-laden country with poisoned stomach powders in order to stir anti-British sentiments. 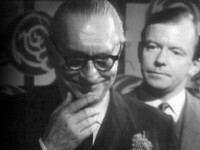 Coming off more as a public service announcement than a spy thriller, this episode has one bright spot: Steed posing as a art dealer from Iceland—with a rather dubious accent!—in order to infiltrate the home of a man suspected of arranging the printing of artificial product packaging. 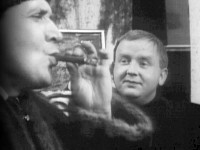 Some scenes were pre-recorded on 7 November 1963 in advance of the main recording.